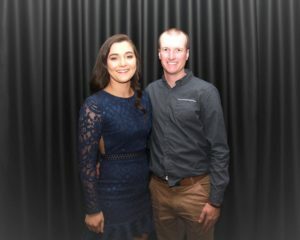 RECORD breaking reinsman Blake Jones collected three awards last Saturday night after setting benchmarks which are unlikely to be broken any time soon. Jones drove a record 108 winners in the Riverina with his nearest rival some 70 winners in arrears, which also finishing third on the New South Wales Drviers’ Premiership with 119 winners. An additional 11 Victorian wins stretched Jones’ tally to a record for a locally based harness racing driver. Jones, who received with his awards at the Wagga and Southwest and Riverina presentation evening, stated his success wouldn’t have been possible without the support of many trainers. “I drive for a lot of different stables who have a lot of nice horses and it finished up being a big year,” Jones said. Jones awards include the Wagga and Southwest and Riverina Premierships and a trophy for driving six winners at a Leeton meeting. “That was the highlight of the season and also driving a few winners at Menangle plus I had four winners in a day a few times at Wagga,” Jones said. It was a big night for Jones and his partner Ellen Bartley, who captured her first Southwest and Riverina Trainers’ Premiership. 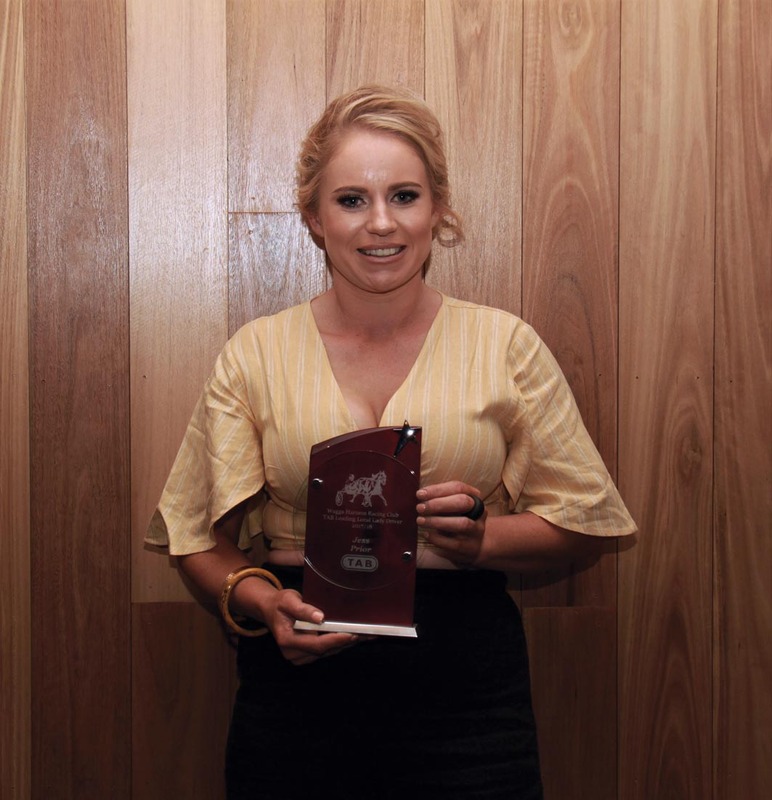 Bartley secured the title by a win and declared she is looking forward to another successful season and racing at the new harness racing complex at Wagga early in 2019. “We had a lot of nice horses in the stable and were fortunate to win a fair few races. We have just had a bit of time off and are ready to go for the new season,” Bartley said. Trainer David Druitt took home the Wagga trainers’ title as well as Pacer Of The Year honours with Saucy Dreams. Druitt recently relocated to Brucedale on the outskirts of Wagga. His son Ross accepted his trophies saying the move coincided with their success. “Saucy Dreams raced very consistently and we had others that won a few races,” Druitt said. Emerging talent Major Roll captured the Juvenile Of The Year title for co-owner-trainer Steve Maguire and his fellow owner Dave Hargrave. Major Roll won the Leeton Breeders’ Plate as well as the Bathurst regional two-year-old final. Well-performed mare Million Dollar Gem had an outstanding season with nine wins and seven placings from 19 starts to be crowned Pacer Of The Year. She also won the Bathurst regional final and Honouree Stakes for owners Brett and Sally Woodhouse, Shane and Amy Felke and Andrew and Emma Smith. Two special awards were also presented to Bayley Duck, who took home the inaugural Nic Dewar Memorial award, and Jess Prior who won the TAB Local Lady Drivers’ title. Naming rights to the feature races at Wagga this season were also drawn with South Wagga Butchery claiming the major prize for the Wagga Cup – the first to be held at the new complex. Duke Of Kent Hotel will sponsor the Wagga Derby, Whitings Dry Cleaning the Wagga Oaks and Supermix Concrete the Two-Year-Old Rising Stars.